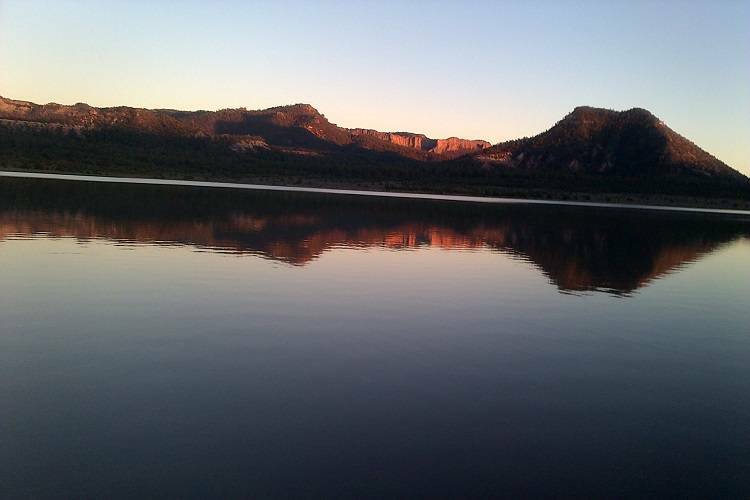 Jackson Lake is a popular fishing, kayaking and wildlife viewing spot with locals. The lake sits amidst 840 acres of the Jackson Lake Wildlife Area. Wildlife viewing, hiking, biking, kayaking and fishing are popular here year round. Access to the lake is by foot only, 1/4 mile hike from the parking lot. The lake parking area is located off NM Highway 170 (La Plata Highway), just 5 miles north of Farmington. Boat use is restricted to canoes/kayaks or rafts or electric motors that can be carried by foot to the lake. Lake species include: catfish, bluegill and bass. Bicycling is allowed year-round but only on established roads and in designated area. An established 2 mile loop is offered. Horseback Riding is allowed in designated area but opportunities are extremely limited. Waterfowl hunting allowed during open season. Fishing is allowear-round fishing on Jackson Lake. Wildlife watchers may see various waterfowl, song birds, and deer year-round in designated area. Good binoculars are important. The best time to view wildlife is at dawn or dusk.